Thanks so much for considering donating to this campaign. Steve and Jordan are great people doing it tough and your support means a lot! On New Year's Eve in 2002 Steve was rushed to hospital. He'd been feeling unwell for a while but that evening he collapsed and after some tests, the doctors told him that his kidneys had failed and he needed a transplant. 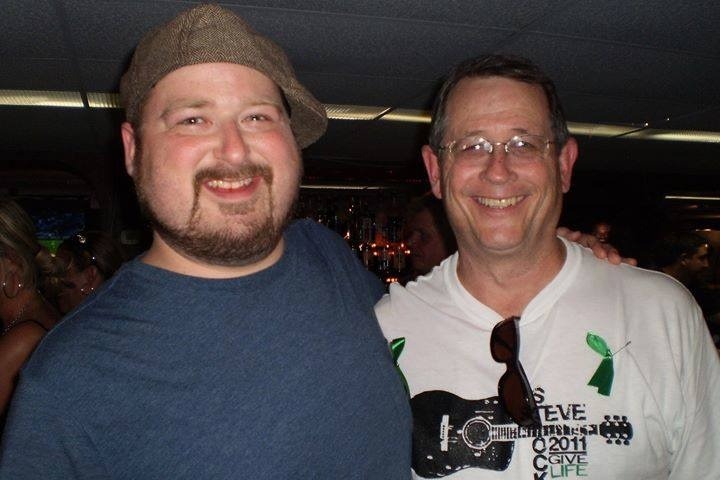 In November 2003, after eleven months of dialysis, Steve received his transplant. His father had donated one of his kidneys. Everything seemed fine. In January 2004, only a couple of months later, a weekend surgery to correct a lymphatic fluid drainage problem turned into two months in hospital. Things had gone wrong in the surgery and it had damaged his new kidney. This time, it was a slow decline in his kidney functions. With care and careful management, Steve was able to prolong the life of his transplanted kidney until January 2007 when he had to go back on dialysis. It was only a few months earlier that Steve and Jordan had met and started seeing each other. This time he was on dialysis for a little over four years. As Steve has put so succinctly to me a number of times, most days he woke up feeling "like a bag of assholes." 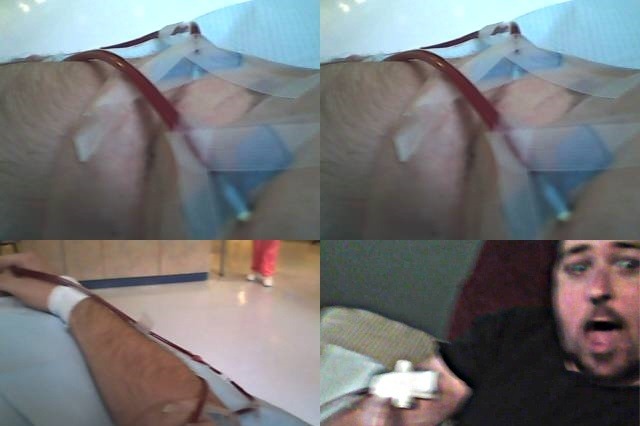 Three times a week Steve would have to travel to to the clinic for a four hour stint, although eventually, they got a home machine and, after working a 12 hour shift at the hospital, Jordan would hook Steve up to the dialysis machine for his four hour stint. Once they got their own machine, the frequency of dialysis was able to be increased to six times a week, keeping Steve healthier. They even took the machine on their honeymoon! In 2011, Steve received a phone call from the clinic. A donor kidney had become available. The operation went well and all was good. Following this second transplant, Steve and Jordan started a family, Jack is now two and a half, and their daughter Joey is 14 months. In 2016, Steve started feeling run-down again. His regular appointments at the transplant clinic showed that his kidney was slowly declining, so with a new team of doctors they started investigating into the decline of not only this kidney, but his original one as well. After a lot of testing Steve was diagnosed with lupus, an auto-immune disease where his immune system produces an excess of antibodies that attach themselves to his kidneys, causing inflammation, pain and eventually, destroyed the organ completely (Membroproliferative Glomular Nephritis). The diagnosis has been a mixed blessing. On the one hand, doctors are able to manage lupus (although there's no cure) in such a way that his kidney won't deteriorate anymore. On the other hand, the diagnosis was too late to save this, his third, kidney and he needs another transplant. Matching compatibility for kidney donation is a tough process; cross-matching antigens and antibodies can be tricky, and it's not often that people are a match when they want to be. 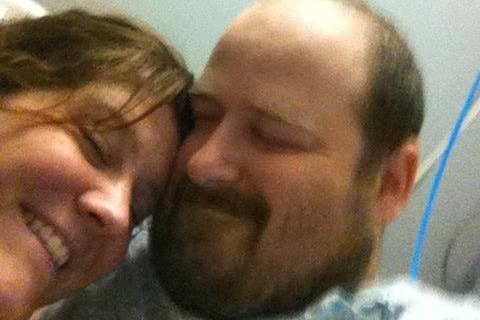 Jordan undertook all the compatibility tests and was a match, and she is donating one of her kidneys to her husband. What this means though is that she will need to take time off work to recuperate as well as take care of Steve while he recovers from the transplant. 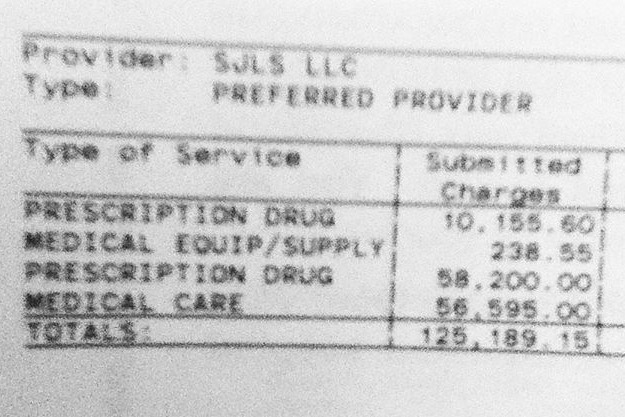 Between now and the transplant, Steve will need to return to dialysis which costs (out of pocket and after insurance) about $1200 a month. At this stage nobody is entirely sure how long Steve will need dialysis for. Additionally, they already have over $7000 in bills waiting to be paid for the testing and hospital visits they've already had to go through. Every cent is going to Steve and Jordan. Our final big goal is to raise another $15,000 to help their family survive while they're unable to work during recovery. Once again, thanks for considering donating, it's greatly appreciated! It doesn't matter how big or small the donation is, everything helps! No special events to promote this update, just a heart felt thanks to every who has donated so far! We really appreciate how much you've given, it's going to a great cause and we know it's being used well. Steve is a great guy who's influenced and appreciated by a lot of people and it's a great thing to be able to help out a friend in a time of great need. Keep up the good fight my friend! Update on Steve's condition: He's back on dialysis after a LOT of complications over the last few days. Thanks everyone for your kind words and support. Keep plugging away at letting people know! The great Ken Allen, composer for some of Sierra On-Line's best games, and producer with Interplay, has kindly donated his Producers copy of Star Trek: Judgment Rites, a brilliant fully voiced Star Trek adventure game. It's still sealed and it's limited edition number is #1701 (Trek fans, stop drooling...) Head over to the eBay auction and get yourself a unique big box 90's adventure game. Hey there everyone, thanks for all the contributions lately. 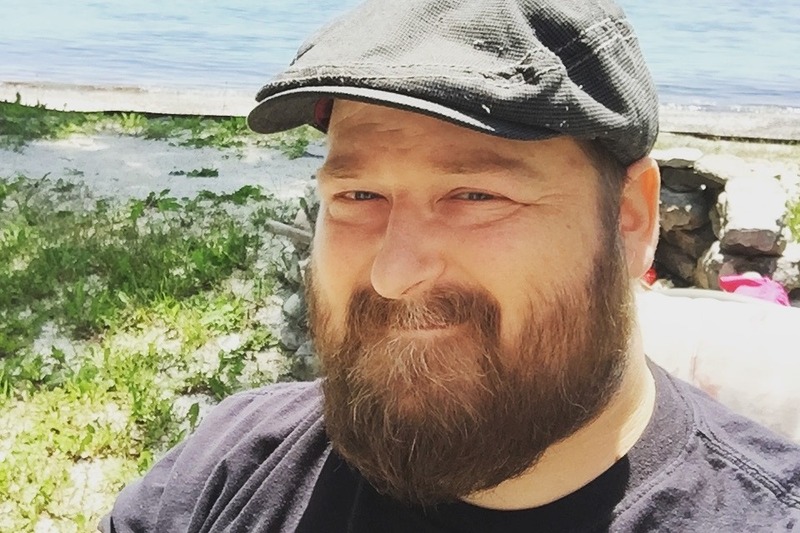 Please know that it's all appreciated so much by Steve and Jordan, and all of us here running this GoFundMe for our friend. For those who don't know, there's an update on Steve's journey that he shared on Facebook a couple of days ago. I've posted it here for those who don't connect with Steve directly. Please be aware, even though there's a change in circumstances for exactly what is happening with his health, every cent donated is still going to Steve and his family to help them through this horrible time. "Three years ago, we noticed that my function began to decrease slightly; ever since, my transplanted kidney, which I got in 2011, has been losing function. This year, as you may know, my function depleted rapidly, and currently I have less than 9% function left. I was in constant contact with my nephrologist and I had several biopsies performed by the people in the transplant department. They discovered several antibodies in my blood, and investigated them to try and determine what had caused what they eventually diagnosed as "membranoproliferative glomerulonephritis (MPGN)". There seemed to be a variety of symptoms, and they tested for many things - including hepatitis B, HIV and Lupus.... all markers ended up being negative. So they performed a special genetic test, sending my blood off to a specialized lab to be analyzed and to see if there was a genetic component or a complement disease that contributed to me developing MPGN. The results came back, and I have no genetic component or complement disease. I am a very, very rare case of what they call idiopathic MPGN. They literally have no idea why my body ends up killing the nephrons in my kidneys. The nephrons are the specific cells that filter and clean the blood; through this, the impurities are filtered out and made into urine. This process happens continually in the body, 24 hours a day. Your kidneys are amazing filters, and we never really notice what they do. We just go and go, and the only marker we really have for them is when we urinate. Weird, huh? Such a small organ too, but it regulates so much for the body. For some unknown reason, my body kills kidneys. And it will continue to do so. They suspect that if I have another transplant, I have an estimated 80% chance of this developing again - and they really have no way to treat or prevent it. There was talk of such things a chemotherapy or plasma-furiouses if it developed, but these are basically, "We don't know what else to do, so we're going to throw this in you and see if it works." The truth is, this condition is terminal. This will kill me. I have been used to to the notion that I would not live a long time for quite a while. It's definitely an experience to face your own mortality so harshly; most people don't have to do it so young, and it's a worry we file away for that mythical someday. Some people do have to face it, and yes, it is unfair... but we all know life isn't always fair. I have lived longer than I ever really expected to, being diagnosed at 24. I have survived things I never thought I could, and I have endured experiences that have left other people dead. I don't know how much time I have left, really. I will have to go on dialysis, and I will most likely be there for a long time. The doctors/transplant program are hesitant to give me a kidney from a living donor, due to how high risk I am now. The doctor spoke to us the other day, and though he made it sound like it was our choice, the choice was easy for me. I can not, in good conscious, take the kidney of my wife - the mother of our children, in this manner and with this risk. The chance of her developing complications is something I can't live with, especially if it doesn't work out for me. She is a match, for me, genetically but we cannot proceed this way. They may not even give me another transplant at all; the doctor said he would offer me a cadaver donor, like last time, but that would be it. If I got another transplant, this would most assuredly be my last one. And it would most likely eventually fail. My body would kill it. So, I will return to dialysis. I do not know how long I will last on it; the last time I was a dialysis patient, I was on for almost five years, and by the end, I was hanging on by a thread. I was younger and stronger then. I just do not know how much I have left in the tank. I am still waiting on word from the transplant clinic to see if they will allow another transplant at all. Even if so, the chances of me getting a cadaver donor are low... and the wait time would be long. Maybe longer than I have. I have been very fortunate in so many things in life: family, friends, love... these really are the important things. I'm sorry to share something so heavy with you all, but the truth is the relationships in my life are the most important thing to me. I communicate with a lot of friends and family through this medium, and some for some of you, this is the only way we've been able to communicate over the years. I'm sure I will keep updates on things here, but this is what has been weighing on me for days. I've been thinking so much about my family - my wife and kids. My extended family. So much to do, so little time. I don't know what the future holds, or how long I have. I'm just going to try and live my best life as long as I can. There aren't many miracles left on the end of my health any more; I think I've outrun fate for a long time. 15 years of dodging death has been an adventure. I just want to thank everyone who has supported me and my family over the years. You've given so much of yourselves, and through this and my experiences with it all, so many of you have shown your quality: it is of the highest degree, and I'm so proud to call many of you friends. I hope that this kind of kindness and compassion continues on in your lives, and we can all share a bit of it over the years. This is what makes the world a better place, no matter how small the act. I've felt the ripples from a pebble in a pond, and I've felt the tidal waves that crash over the sides. I'm looking forward to feeling those a little longer, and maybe sending out a few more of my own before I have to go." $475 for "Callahan's Crosstime Saloon!" That's an amazing amount of money! The winning bidder has been in contact and Josh is organising the great Spider Robinson to autograph the box as well! That is one hell of a collectors item! We've had another Sierra legend donate a game to be auctioned off as well! More details to follow soon!